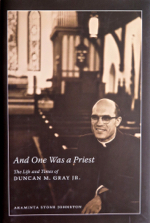 And One Was A Priest – The Life and Times of Duncan M. Gray Jr.
“We seek the spiritual North Star. “Duncan Montgomery Gray Jr. was not the North Star. But he pointed us toward it. His life was a persistent pointing toward that which would ground us – faith in Jesus Christ. “It would be easy and tempting to reduce his nearly 90 years to one event, significant and important though it was…. “The story of his attempt to quell the rioting crowd at Ole Miss on Sept. 30, 1962 is well known. Less well known is the stance he took as president of [University of the South] School of Theology student body in 1953, even in opposition to the University’s administration. “And there was the courageous leadership he provided in the tense days in Meridian, when, synagogues, churches and homes were being bombed and deadly threats were a part of life. “But he was not the North Star…. Canon Johnson has placed the full text of his homily online here. For links to obituaries and other material, click here. The story of the civil rights movement is not simply the history of its major players but is also the stories of a host of lesser-known individuals whose actions were essential to the movement’s successes. 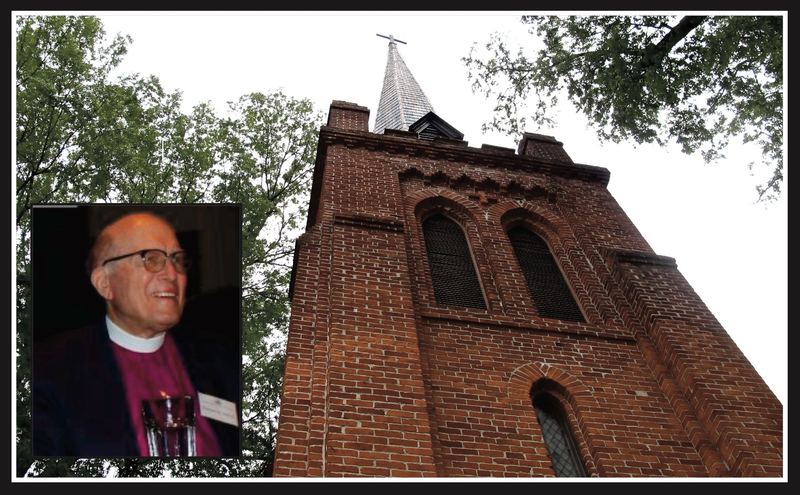 Duncan M. Gray Jr., an Episcopal priest who served various Mississippi parishes between 1953 and 1974, when he was elected bishop of Mississippi, is one of those individuals. And One Was a Priest is his remarkable story. From one perspective, Gray, born in 1926, would seem an unlikely spokesman for racial equality and reconciliation. He could have been content simply to become a member of the white, male Mississippi “club.” Gray could have embraced a comfortable life and ignored the burning realities around him. But he chose instead to use his priesthood to speak in unpopular but prophetic support of justice and equality for African Americans. From his student days at the seminary at the University of the South, to his first church in Cleveland, Mississippi, and most famously to St. Peter’s Parish in Oxford, where he confronted rioters in 1962, Gray steadfastly and fearlessly fought the status quo. He continued to work for racial reconciliation, inside and outside of the church, throughout his life. This biography tells not only Gray’s story, but also reveals the times and people that helped make him. The author’s question is, “What makes a good person?” And One Was a Priest suggests there is much to learn from Gray’s choices and his struggle. 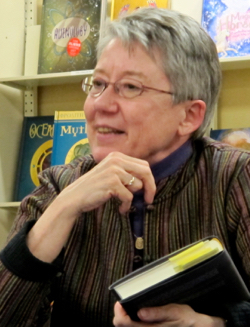 Author Araminta Stone Johnston is a retired assistant professor of philosophy and religion who lives in Charlotte, North Carolina. She grew up in Oxford, Mississippi, where she was a member of St. Peter’s Episcopal Church. The author has posted a number of video reflections about Bishop Gray, about the book and about Oxford on this site. And we welcome your comments and reflections on the life and times of Duncan M. Gray Jr.